The PORCELANOSA Grupo has just started the eleventh edition of its Architecture and Interior Design Awards. An event where the ingenuity of professionals in architecture and interior design worldwide is put to the test with designs full of talent and creativity. The extensive career of the PORCELANOSA Awards for Architecture and Interior Design has made this event one of the most nationally and internationally recognised, receiving year after year, original projects in which exquisiteness and leading-edge design stand out. The deadline for presenting projects, recently opened, will end on March 23, 2018. During this period, applicants will be able to present their most innovative projects in two categories: Forward-Looking Projects, with a section for students and professionals; and Completed Projects. 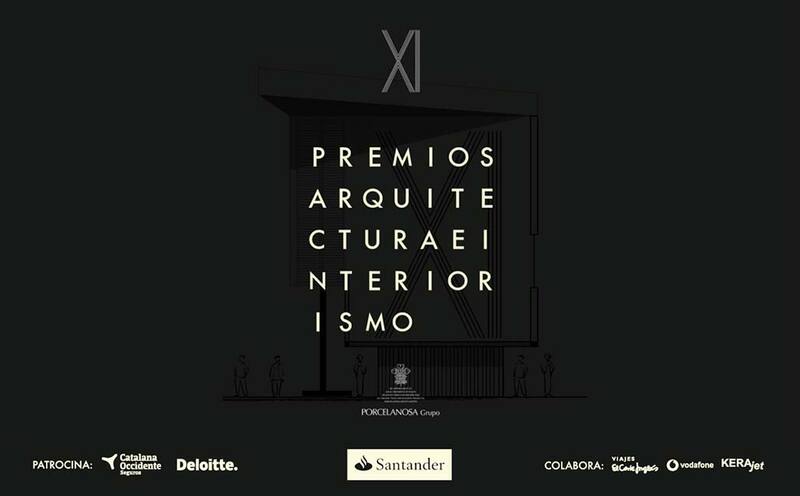 In this eleventh edition, in the Forward-looking Projects category, the project that designs the best architectural solution for the showroom in Porcelanosa Grupo’s central facilities in Vila-real (Castellon) will win an award. As a requirement, the design must have an exhibition space where the eight firms from the group are represented. In addition, in the Completed Projects category, the best completed projects will be awarded, whatever their nature, from public spaces to commercial premises or private homes. These must be made mostly with materials from the different companies belonging to the Porcelanosa Grupo, with the completion date being between January 2016 and February 2018. An event aimed at those who make design and architecture a way of life. The rules of the contest can be downloaded here and, the registration can be done through the event’s web page.